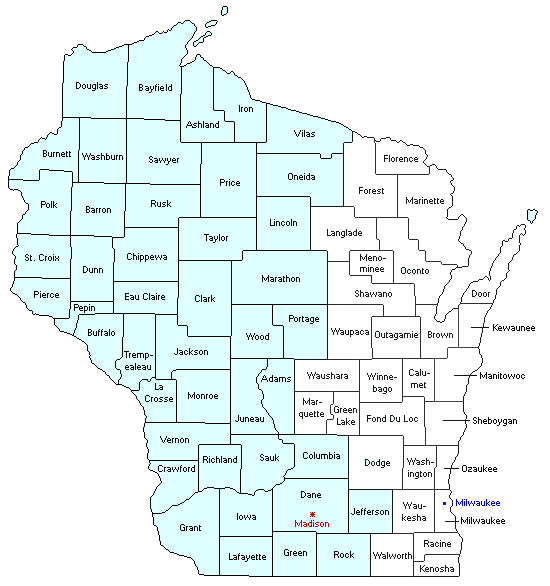 The Western District of Wisconsin currently has three District Judges and one full-time Magistrate Judge. The Clerk of Court also serves as a part-time Magistrate Judge. The Judicial Conference has adopted a seminar disclosure reporting policy that requires educational program providers and judges to disclose certain information relevant to judges' attendance at privately-funded educational programs. This system is intended to assist program providers, courts and judges in making the necessary disclosures while providing public access to the information. Any organization covered by the policy that issues an invitation to a federal judge to attend an educational program as a speaker, panelist or attendee and offers to pay for or reimburse the judge in excess of $305 must disclose financial and program information. Click the link below to view qualifying educational seminars reported by the District Judges of the Western District of Wisconsin. Congress has created a procedure, set forth in 28 U.S.C. § 372(c), that allows any person to file a complaint alleging judicial misconduct or disability. Misconduct refers to conduct that interferes with the effective administration of the business of the courts, not the correctness of a particular ruling. If you believe a judge made a wrong decision, even a very wrong decision, you may not use this procedure. Instead, if you are a litigant, you must use the appeal process. An attorney can explain your right to appeal. Links to the complaint form and the rules governing judicial misconduct or disability are given below. A complaint must be supported by evidence sufficient to raise an inference of misconduct or disability. Adams, Ashland, Barron, Bayfield, Buffalo,Burnett, Chippewa, Clark, Columbia, Crawford, Dane, Douglas, Dunn, Eau Claire, Grant, Green, Iowa, Iron, Jackson, Jefferson, Juneau, La Crosse, Lafayette, Lincoln, Marathon, Monroe, Oneida, Pepin, Pierce, Polk, Portage, Price, Richland, Rock, Rusk, Sauk, St. Croix, Sawyer, Taylor, Trempealeau, Vernon, Vilas, Washburn, and Wood. Operations staff will be available to assist you during regular business hours. Please turn off mobile phones before entering the courtroom. Attorneys may use laptops or tablets for trials and other hearings, but the court does not allow the use of ANY electronic devices in the public galleries without the express permission of the presiding judge. Wireless access is available to attorneys at no charge. Please contact the clerk's office, or the courtroom deputy, for more information. Directions to the U.S. District Court can be found here. For information on winter travel, winter parking rules and snow removal in the City of Madison, see here. Information about district court cases is available through PACER or by calling the clerk's office. Attorneys practicing before this court may find the resources at the following bar associations helpful. The mission of the State Bar of Wisconsin is to improve the administration of justice and the delivery of legal services and to promote the professional interests of Wisconsin lawyers.